If you find yourself on a Western Caribbean cruise, there’s a chance that you’ll stop at the cruise port in Costa Maya, Mexico. Located on the Yucatan Peninsula, this sleepy fishing village is most known for its stunning beaches, ancient ruins and reefs made from shipwrecks dating back hundreds of years. Destroyed by Category 5 storm Hurricane Dean in 2007, the port is now rebuilt and thriving, welcoming multiple cruise ships at a time. While the pier has a plethora of shops and a signature Margaritaville restaurant, you’ll probably want to venture outside of the cruise port to experience the real Costa Mayan culture – and some of the freshest seafood pulled from the Caribbean sea! This 1.5-mile strip of beachfront bars, swimming areas, shops, relaxation and restaurants makes it the ultimate chill zone. If you grab food or beverages, most establishments don’t charge for beach access. This is a perfect place to take advantage of a massage for less than half the prices of the cruise ship. You can get round-trip transfers to this beach at the entry to the pier for $6 per person or negotiate a taxi for about $5 per person. 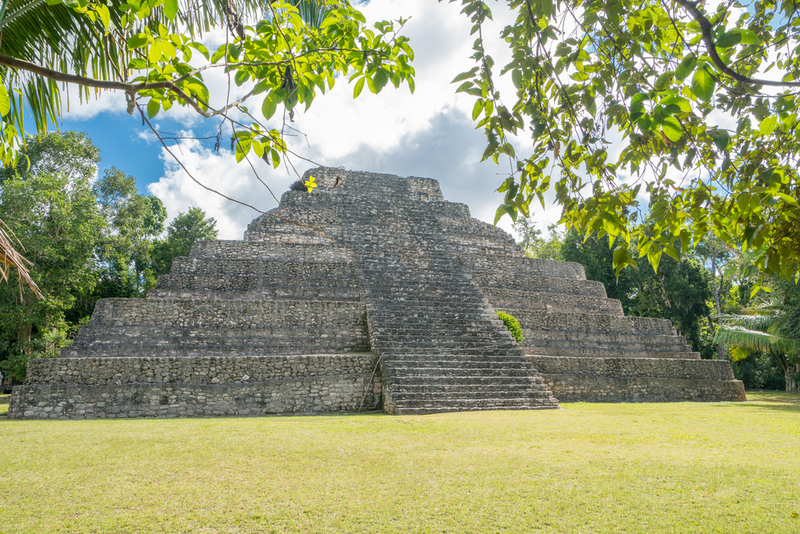 This is one of the more popular tours on the island with ruins dating back to 200 A.D. Go back in time visiting temples, remaining pyramids and other sights, all with a knowledgeable and local tour guide. Transfers are included from the cruise pier on this excursion, and it’s recommended to bring comfortable walking shoes, bug spray, cash and a camera. This tour lasts approximately four hours. One of the world-premiere diving spots is located off the coast of Costa Maya. 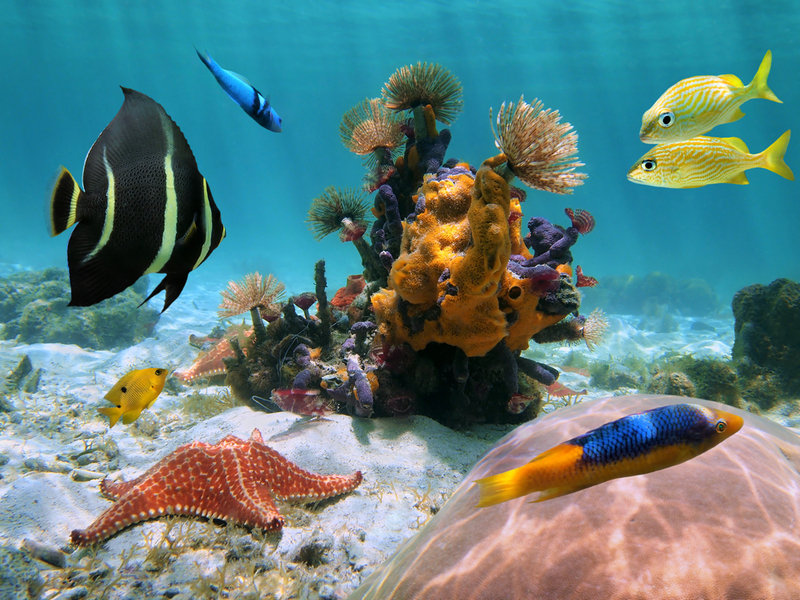 The Meso-American Barrier Reef is hundreds of miles long with more than 500 species of fish swimming about. The endless mountain range of coral reef provides vast formations with incredible diving. Nohoch Kay Beach is just a short taxi drive from the cruise pier and offers cruise passengers everything they need for a day of fun in the sun. For $40, adults can have an open bar with all the Caribbean concoctions, three lunch options, beach access, shaded umbrellas and beach chairs. Massages are available for a nominal fee, and snorkeling tours are also available for purchase. Children under 6 are free; kids 7-17 are $20. Swimming with some of the friendliest mammals in the sea is a great way to spend your day in Costa Maya. You will go waist deep into a special pool where trained dolphins love on you, shake your hand and spin around in circles. This shore excursion is perfect for families, with a focus on interacting with the dolphins. The best part about this excursion is the whole family doesn’t have to do it to experience the dolphins; an observation area is around the pool for onlookers to take photographs and video the experience. Cash is king in Costa Maya. There aren’t a lot of ATM options in or around the port. Ask for locally caught seafood — the local fisherman are pulling the freshest fish and lobster right out of the ocean in front of you. So book your Costa Maya cruise excursion or tour today!